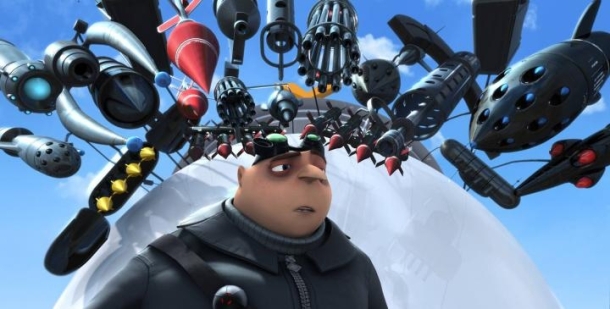 if you haven’t seen not even a single movie trailer of Universal’s upcoming flick, Despicable Me, well… you’ve missed a lot. Just recently I stumbled upon a new trailer and here’s a chance of catching up. It’s totally hilarious and I can’t wait to see it this summer. The plot focuses on a likable villain trying to get along with his brilliant criminal agenda, but it seems everything is against him. I know, everybody has had one of these days. Despicable Me will be also released in Digital 3D and IMAX. The premiere date is 9 July. Sweeeet!